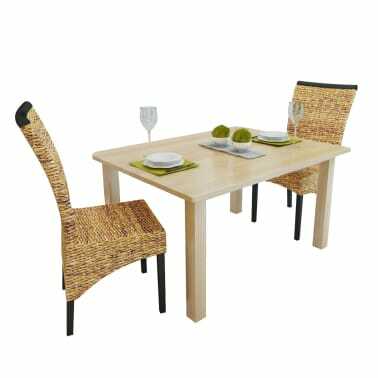 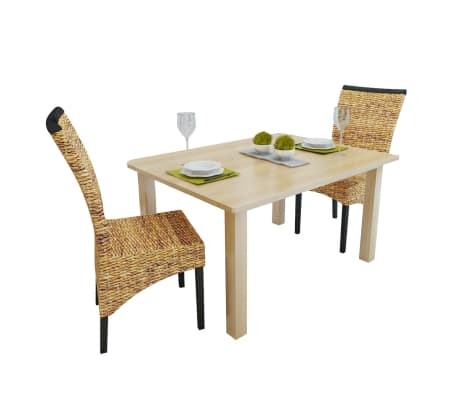 This is a set of 2 high-quality handmade woven abaca chairs. 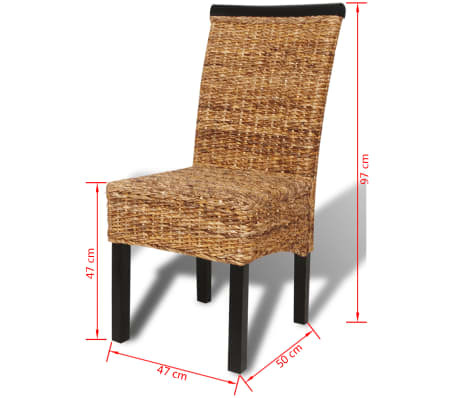 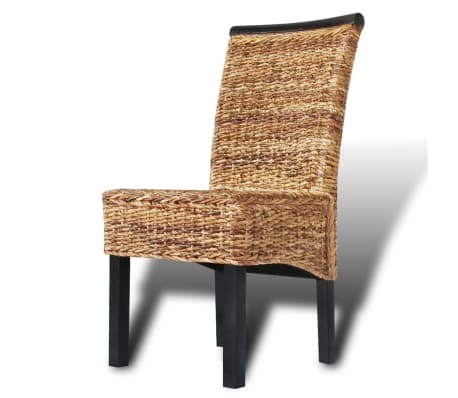 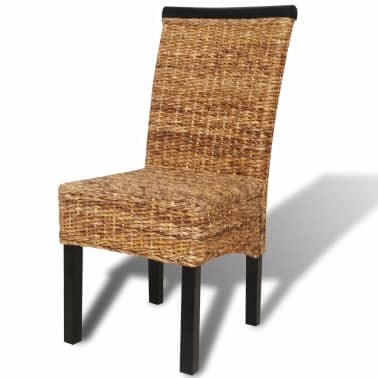 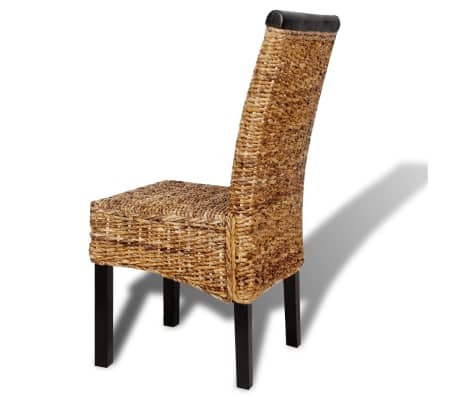 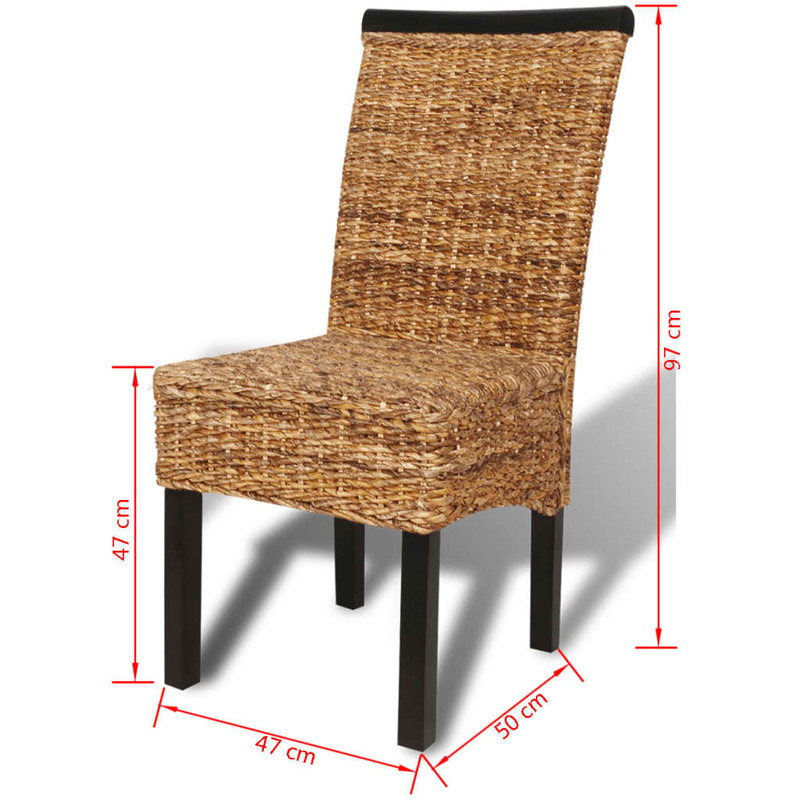 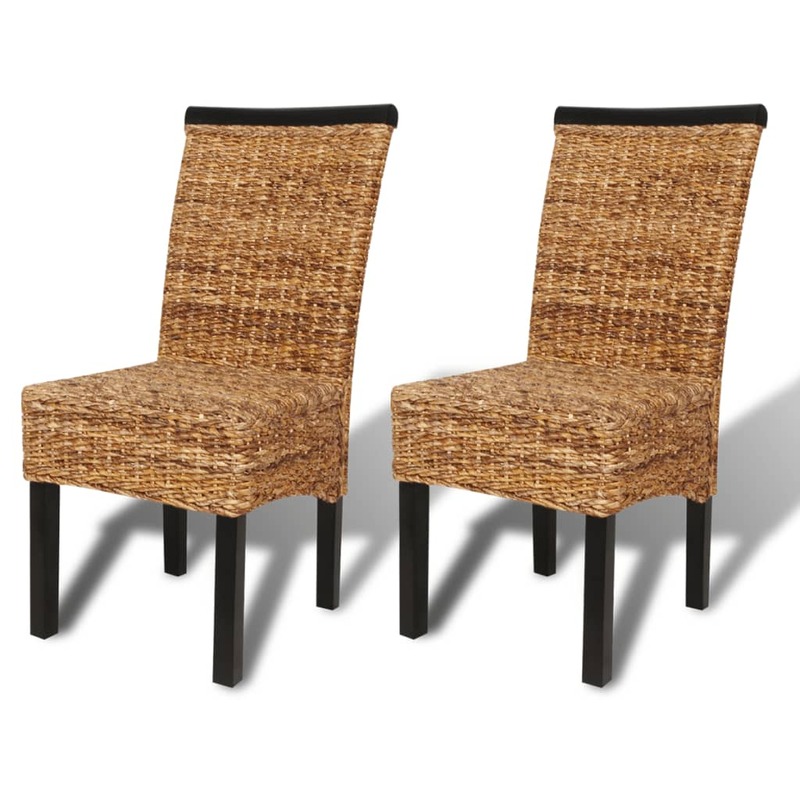 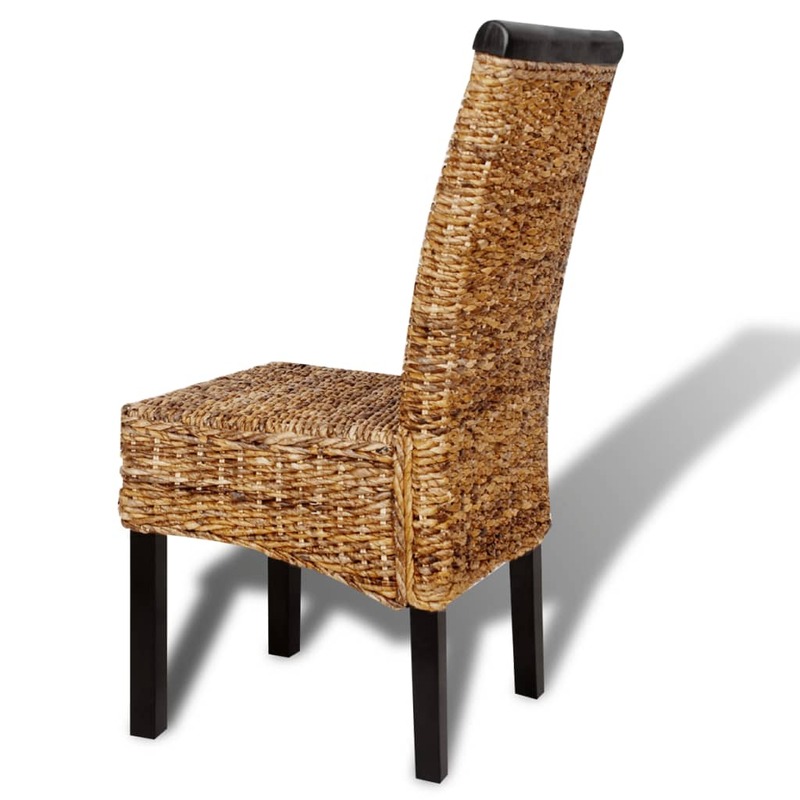 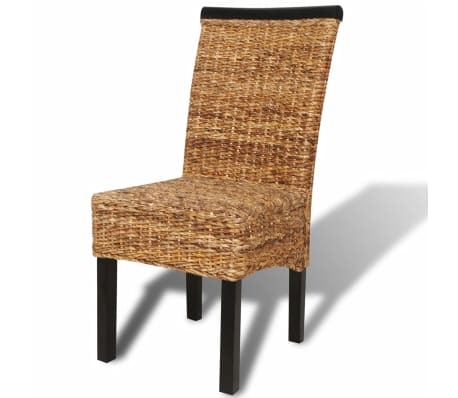 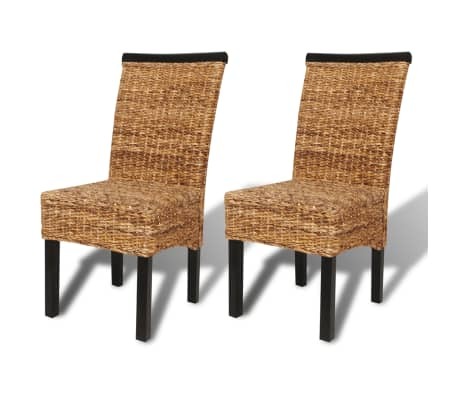 Thanks to their Manila styling, these abaca woven side chairs will make a great addition to your interior. 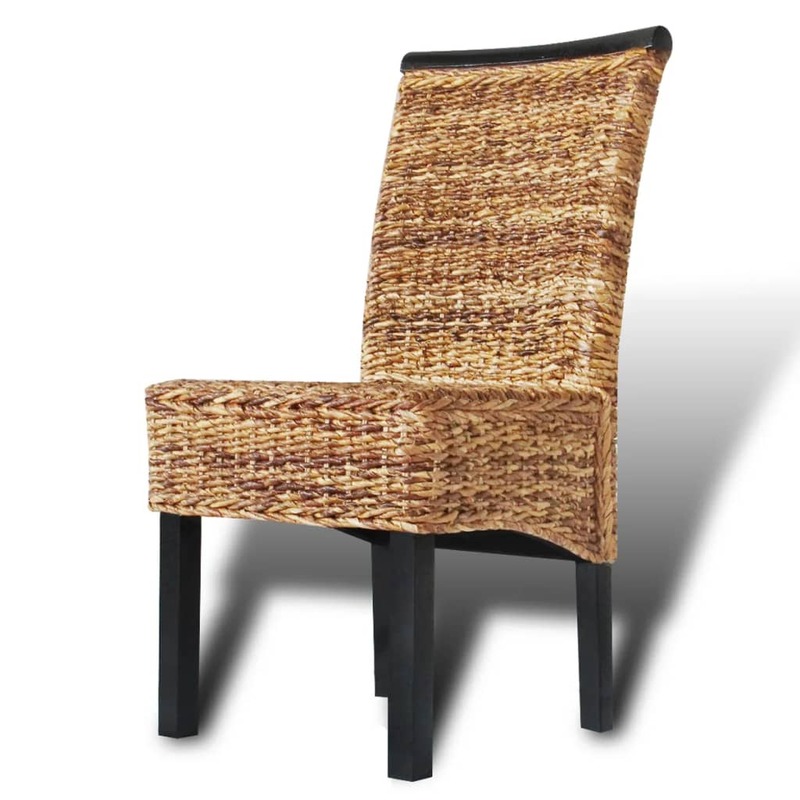 The hard wood frames and the natural abaca leaves (banana leaves) make the chairs not only structurally sound, but also aesthetically pleasing. 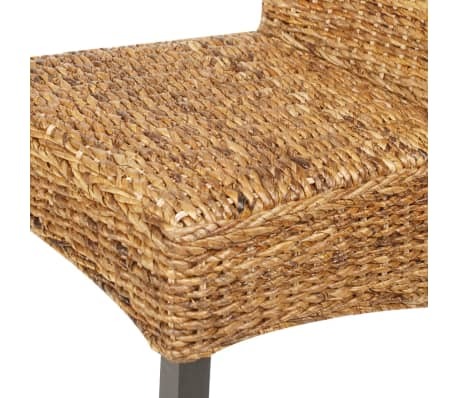 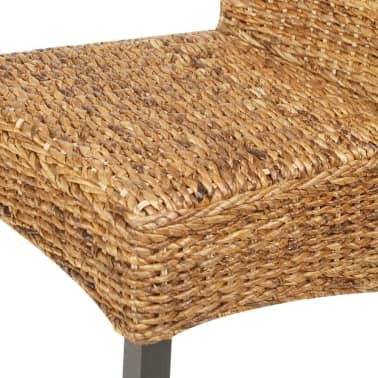 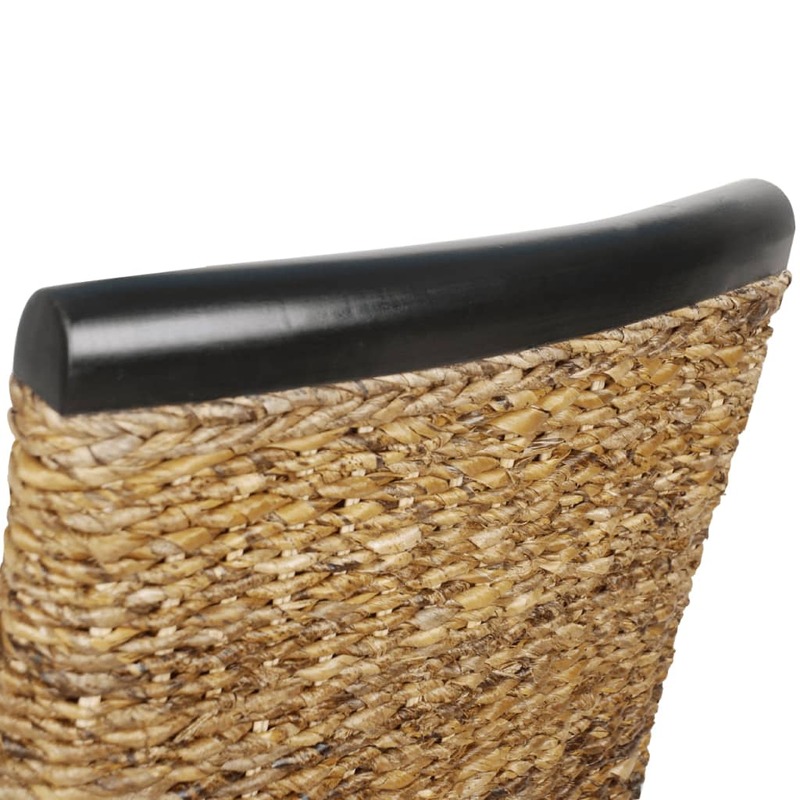 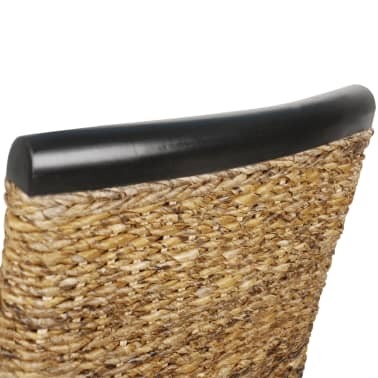 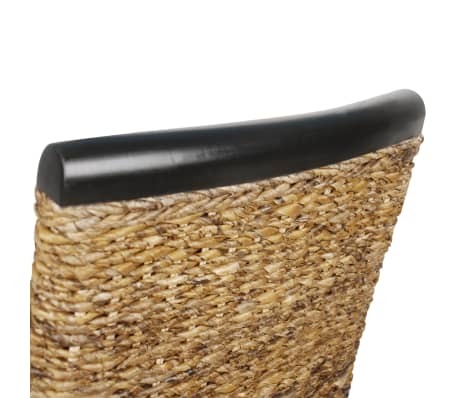 Moreover, the abaca covered seats are very comfortable to sit on. 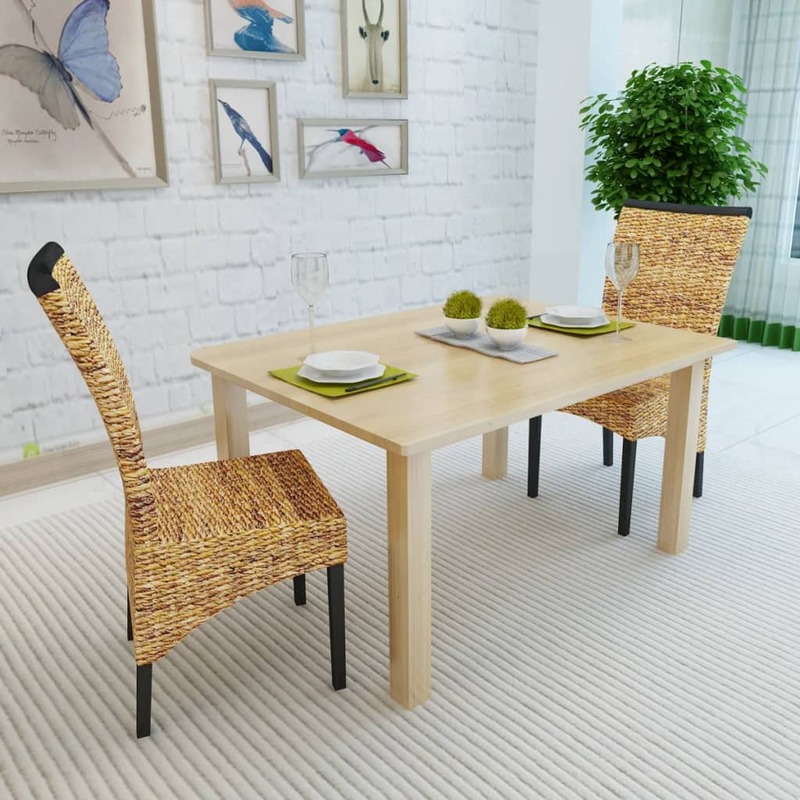 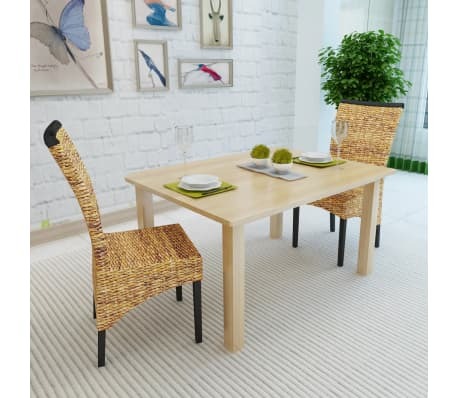 If you are looking for something to complement your kitchen and dining room decor, these smart woven chairs are a great choice.